Videos showcasing business jets are usually accompanied by stirring classical music. But this is a mistake. Classical music is not the true genre of the industry. Its soul is country and western. Clearly most country fans are not in a position to buy a jet (although Nielsen says that 29% are planning to get a truck). But the musicians are loyal customers. Lombard, the UK bank, last week hosted a select gathering at the Country2Country festival in London. It was headlined by Brad Paisley, who owns a Falcon 50. Other country business jet fans include Dierks Bentley. Bentley who sings Drunk on a [commercial] Plane has spoken at NBAA and flies his own Citation M2. Jake Owen is a Wheels Up customer and played at a Super Bowl Party for other members. There are many others. 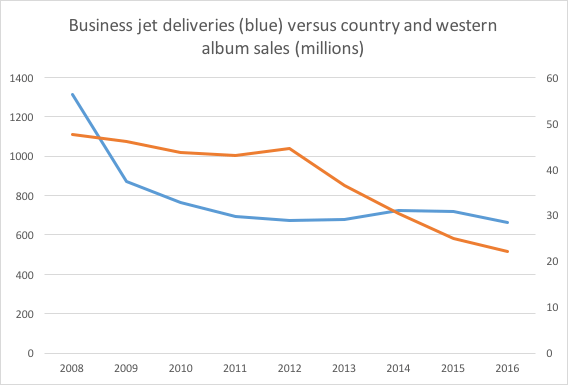 Like business jets, sales of country music have fallen significantly since 2008. But for very different reasons. Album sales have been hit by downloads and music streaming (although country music has actually held up better than many other music types). Business aviation is actually luckier. Aircraft have not been replaced in the same way, but there has been a shortage of buyers. Country music singers can afford to fly privately because they have adapted to this shift. They have turned to live music. Nielsen says consumers now spend the biggest share of their personal budget on live music. In 2016 this was 36% on their total music spend. Performers use their jets to get them around like other small businesses. 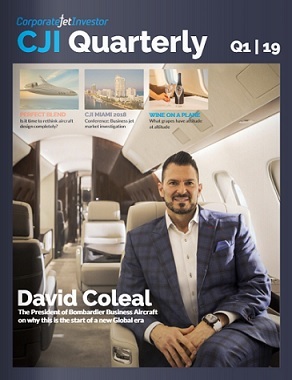 Business aviation lets them see their customers and get home to their families (Cessna has a great video showing how Bentley does this). Other musicians including Iron Maiden’s Bruce Dickinson (who flies an Eclipse 550) use business aircraft in similar ways. 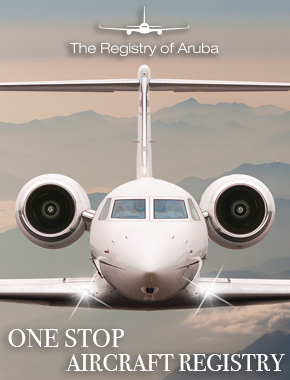 The business aviation market has not pivoted as quickly. Whole aircraft sales have been not been replaced. This is partly because organising even a big concert is a lot less complex than creating a membership programme or optimising empty legs. 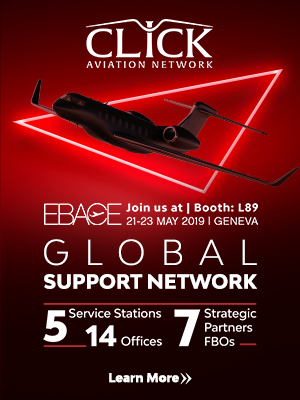 But the business aviation market needs to keep evolving. There is a good chance that sales may pick up, but as musicians have found, it is risky to just rely on one product (there is a panel looking at this at the National Aircraft Finance Association Conference in Florida next week). If an industry as proud of its traditions as country and western can evolve, so can business aviation. And the two have a lot in common. It is not a coincidence that all business jets are made in the south*.